Media Supply's Services department discovered this nifty machine while looking for a solution to streamline the processing of our usb flash drive duplication jobs. The loading and reloading of these drives used to be a one-at-a-time time consuming task, but not any more. This machine will load information onto 20 portable usb flash drives at a time! First, they contain solid state memory which means is that there are no moving parts. This means there is nothing to wear down or break and it also means they use very little power. Second, unlike CDs and DVDs that are write-once media, the USB flash drive can be written to, edited and erased as many times as necessary. Good-bye to the –RW. Another advantage is that USB flash drives aren't susceptible to the scratches and dirt that can plague CDs and DVDs. This makes it the perfect store and go device. USB flash drives now come in almost un-limited configurations: anywhere from a bracelet you can wear to an actual pen that will write! Capacities of these devices range from 128MB all the way up to 32GB. 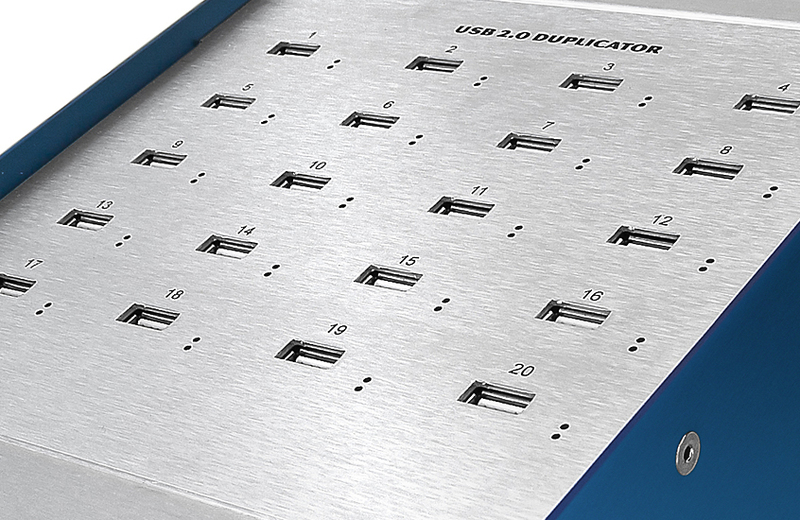 The Nexcopy USB200PC is an economical solution for data loading to distribute your information via USB flash drives. And it's so easy to use! With its user friendly software interface you can copy to 20 blank USB flash drives simply and automatically. There are no "copy-n-paste" issues, no tedious single drive loading and no hassles. The unit is a PC Based device capable of copying at your flash drives maximum transfer speeds. Using our new USB200PC usb drive copier, our Duplication Services Manager has never been happier!